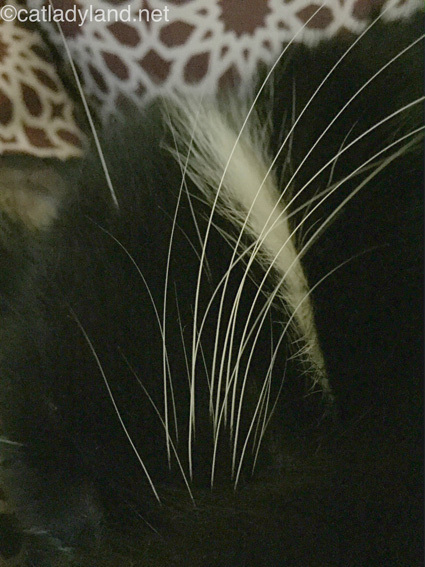 Ah, the kitty whisker ... so elegant, yet practical. 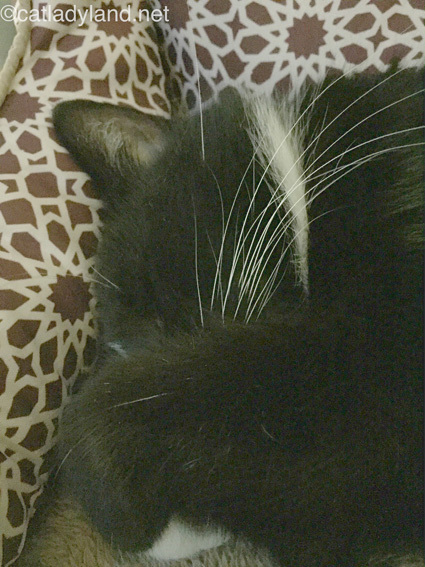 My Cosmo's whiskers have such flair, especially when he flares them. Sometimes when he's sleeping, I go in for a closer look. Closer looks are not always met with pleasantries when he's awake. And still closer. Look at those things! And then he's got the funky "off the side of the head" one that reminds me a little of the Frankenstein monster's bolts. Cosmo's no monster, although sometimes I'm afraid I'll wrap him up in a tortilla and eat him because he's so cute. I don't mean that at all in some kind of whacked-out way. Oh, you know what I mean.